I love when the beauty boxes come back to back like that. It’s like make-up Christmas for me! Look at that huge size for the Christophe Robin masque! I got this last night, and today I wore that Smashbox lip product. I’m in love . This is my 3rd or 4th month of Play!, and I love it. It’s $10.00 a month PLUS tax, so it ends up being about $10.66 or something for my area. 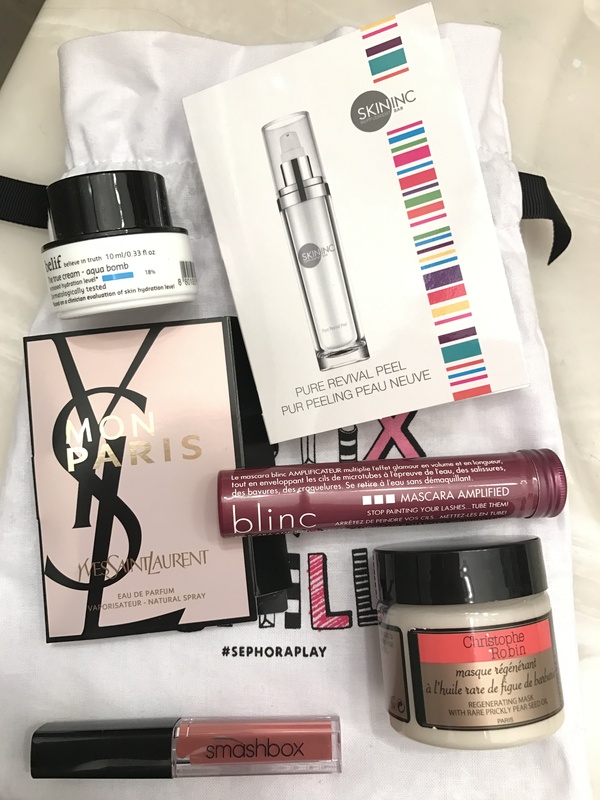 Bonus – you earn 10 Sephora points for each month when you sign up for the subscription. I can’t wait to use all these and review them! Are you a Play! fan?